I released #InTheRightDirectionQuilt and #AroundTheSquareQuilt as PDF patterns via my Craftsy shop. These are two fun and simple quilt patterns. There’s no magic in what I do. I wish I could tell you I came up with a way to make a million squares or half square triangles in mere minutes, but that’s just not the case. My guiding principle in quilting is to make something fun and practice skill building. I firmly believe that the more time you spend doing basic principles of quilting, the more efficient and accurate you’ll get each time. I love shortcuts too and I own lots of quilting gadgets to help improve in speed and efficiency (hello Bloc Loc rulers!) – and some of those will be useful in these patterns, but it’s also some good ol’ fashioned hard work to get a result you love. 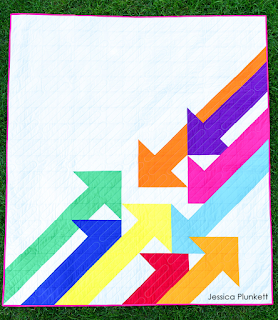 #InTheRightDirectionQuilt is a great introduction to modern quilting. It utilizes large bold elements and lots of negative space. It’s a beginner-friendly pattern. Everyone – beginner to expert – can enjoy selecting a unique color palette, picking solids or patterned fabrics or a mixture of both and creating a very unique, personalized quilt. One of my goals as a pattern designer is to get you excited about how you can make a quilt YOURS with your favorite fabrics. I rarely provide great detail on the fabrics I use because I want you make something using fabrics YOU love. This quilt would look awesome in florals, batiks, large-scale prints, small-scale prints and everything in between. 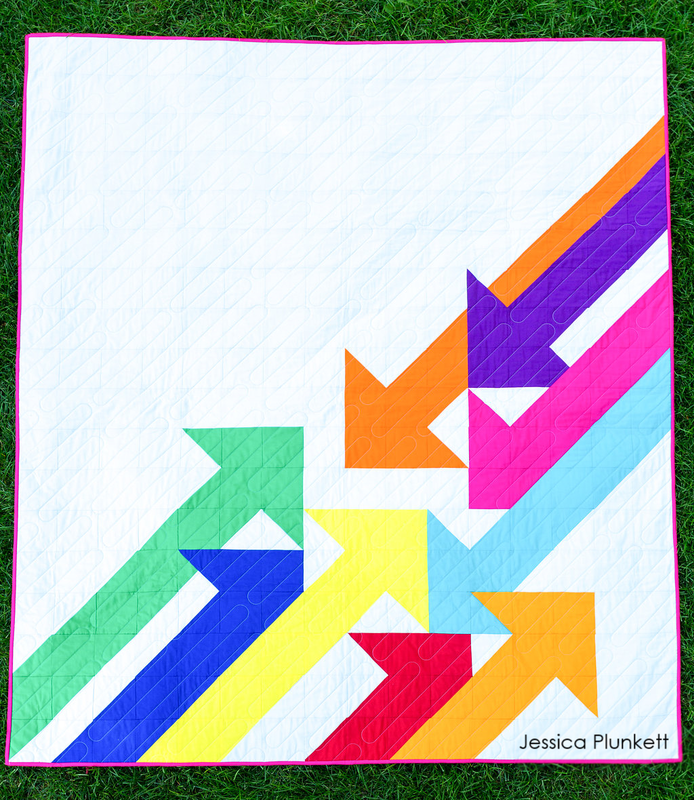 You can read about the inspiration behind this quilt (it’s actually a nod to finding balance!) here and then go pick up the pattern on Craftsy. 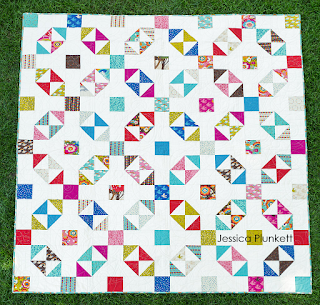 #AroundTheSquareQuilt is a fun quilt to use coveted fussy cuts! It’s a modern traditionalism style quilt. I’ve simply played with the placement of squares, rectangles and half square triangles. It’s a beginner-friendly pattern. As I mentioned, it’s a fun way to showcase larger prints as you have many centrally-focused squares to use in the pattern. Again, my goal for this quilt is to be approachable by everyone and allow you to customize the feel of this quilt by using YOUR favorite fabrics! Or, step out of your comfort zone and pick a totally different set of fabrics than you typically use. 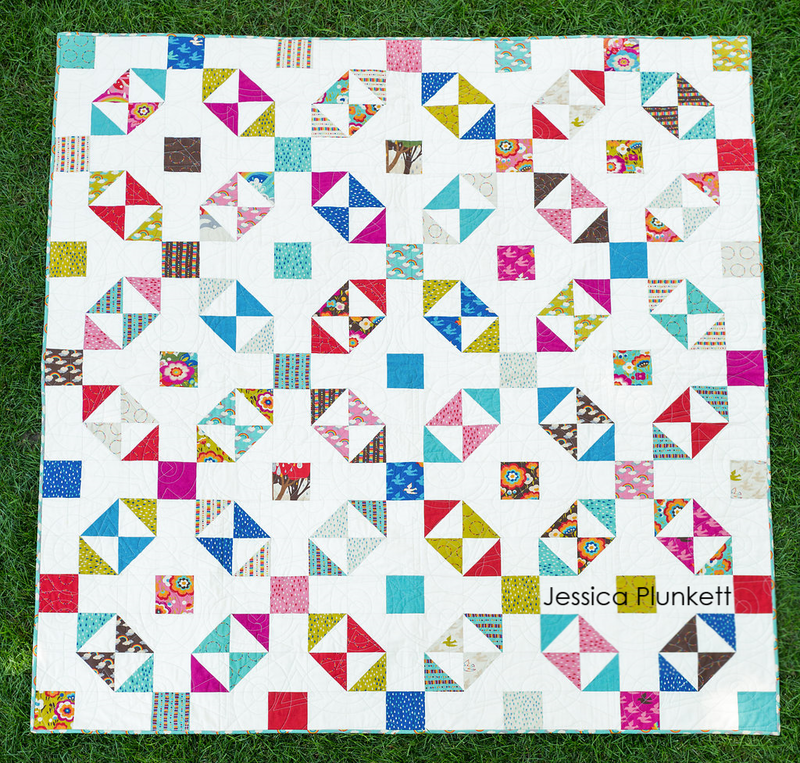 This quilt would really pop using extremely bold, contrasting solids too! You can read about the inspiration behind this quilt (it’s related to a specific characterization of small towns) here and then go pick up the pattern on Craftsy. I hope you feel inspired seeing these patterns! And to celebrate, the patterns are 15% off now through 8/10/18 (no code needed)! I’d also like to acknowledge the very generous, talented and inspirational people who’ve helped me embark on this journey – Marny, Julie, Jill, Kristen, Emily, Kelly, JoEllen, Rebecca, Shona, Kristen, my husband, my daughter and much of my extended family. Thanks for your expertise, cheerleading and belief in me.